Ryanair, Europe’s No.1 airline, today (26 Sept) launched its biggest ever Prague Summer schedule (2019) where it will base an additional two new aircraft, and add 15 new routes (connecting 9 countries) to/from Amman, Bari, Billund, Bournemouth, Copenhagen, Gothenburg, Marrakesh, Marseille, Paris, Pescara, Pisa, Riga, Stockholm, Venice and Zadar, with 30 routes in total, which will deliver 2.1m customers p.a. at Prague Airport, as it grows its traffic by 23%. – 1,200* “on-site” jobs p.a. 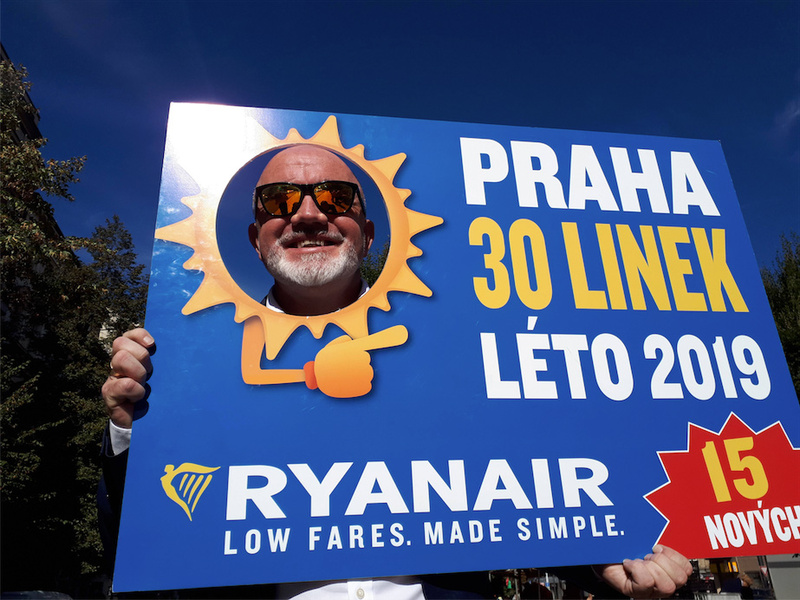 Czech consumers and visitors can now book their holidays on 30 routes for summer 2019 on the lowest fares. To celebrate, Ryanair has launched a seat sale with fares on its new Prague routes available from just 529Kč, for travel in April, which must be booked by midnight Friday (28 Sept) only on the Ryanair.com website. “Ryanair is pleased to add 2 more based aircraft at Prague (4 aircraft in total) as part of our biggest ever Prague summer schedule with 30 routes, including 15 new routes to and from exciting cities such as Copenhagen, Marrakesh and Pisa, which will deliver 2.1m customers p.a. as we continue to grow Czech routes, traffic, tourism and jobs.